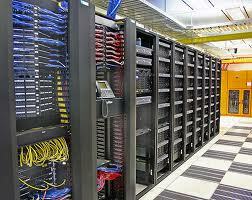 DCIM, or data center infrastructure management, is incredibly important for any data center. If infrastructure is not managed properly in a data center many problems can arise. Proper management is challenging for even the most experienced data center managers because technology is constantly evolving, power density is constantly added to racks and cooling needs shift as well. One of the best ways to improve data center infrastructure management is to utilize software to collect information rather than manually collecting information. DCIM software is a central location to aggregate and analyze data that has been collected so that performance and uptime can continue to be improved. To properly manage capacity, data about the following must be collected: power usage, rack space, cooling and more. As this data is collected data center managers will be able to see how much rack space is being used so that they can determine whether or not they want to add more density to a rack. With this data, managers will know if rack density maximum capacity is being used properly or too close to being exceeded. If it is being underutilized too much energy may be used to cool it and it is likely better to increase density or condense server racks to maximize space and efficiency. This is important because proper management of rack density allows for improved energy efficiency and a reduction of downtime. But, without a sophisticated DCIM software, a data center manager may not even realize if a rack density is being under or over-utilized. Often, what data center managers experience is that, over the life of a data center, more systems are added, equipment is added or adjusted and suddenly there is a general lack of knowledge about power density. DCIM software helps prevent a lack of knowledge from occurring by ensuring that data center managers, and support staff, all have the most current information about what is happening in a data center. DCIM software will not only analyze rack utilization but power management as well. As data is collected data center managers can see how and where power is being used. This will help pinpoint areas in need of improvement and allow managers to make changes as quickly as possible. DCIM software can even be set up with automatic notifications so that the most current information is being provided at all times. With such current information it is easy to micromanage or become overly concerned with finite details but it is better to instead look at trends over time. By analyzing charts and graphs to see trends you will be able to see if something was a fluke or if it is a consistent pattern. Once consistent patterns are known it is easier and more effective to make permanent changes and improvements to a data center so that efficiency and data management can be optimized. This entry was posted in Back-up Power Industry, Data Center Design, data center equipment, Data Center Infrastructure Management, DCIM and tagged Data Center, data center design, data center equipment, data center maintenance. Bookmark the permalink.